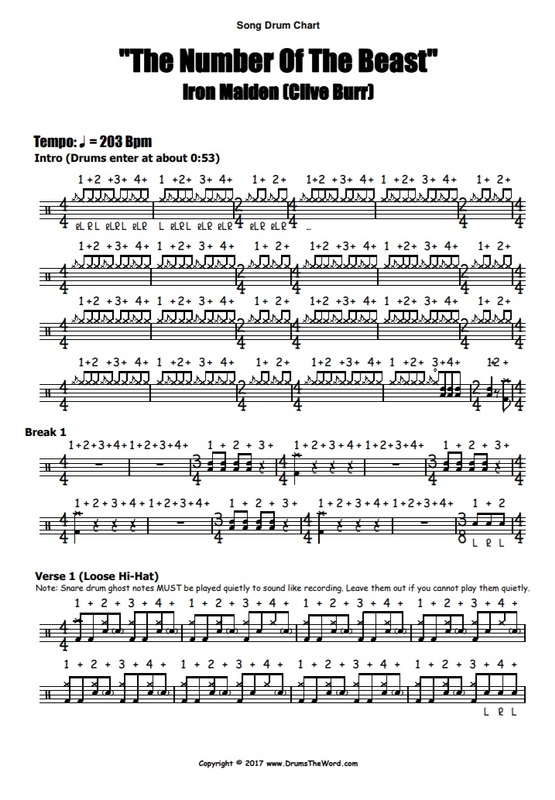 In this free drum lesson, I want to give you the FULL free PDF Drum Chart to the song “The Number Of The Beast” by Iron Maiden, featuring the drumming of Clive Burr. 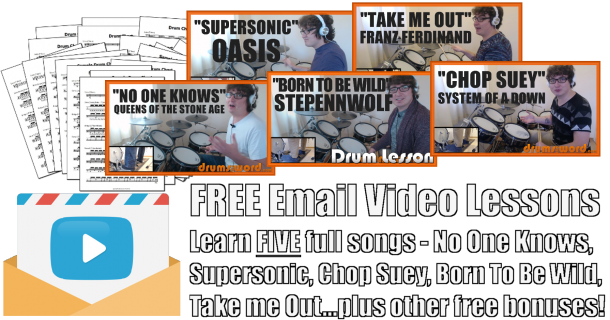 There are some surprising time signature and structure changes through this song that might surprise you…they did me whilst I was transcribing. The main part of the song is a really solid drum beat, but the use of lots of off beat crash cymbals and bars of 3/4 and 2/4 certainly help to keep you on your toes!